Human beings aren’t made to sit still. We work better when we change our position from time to time. 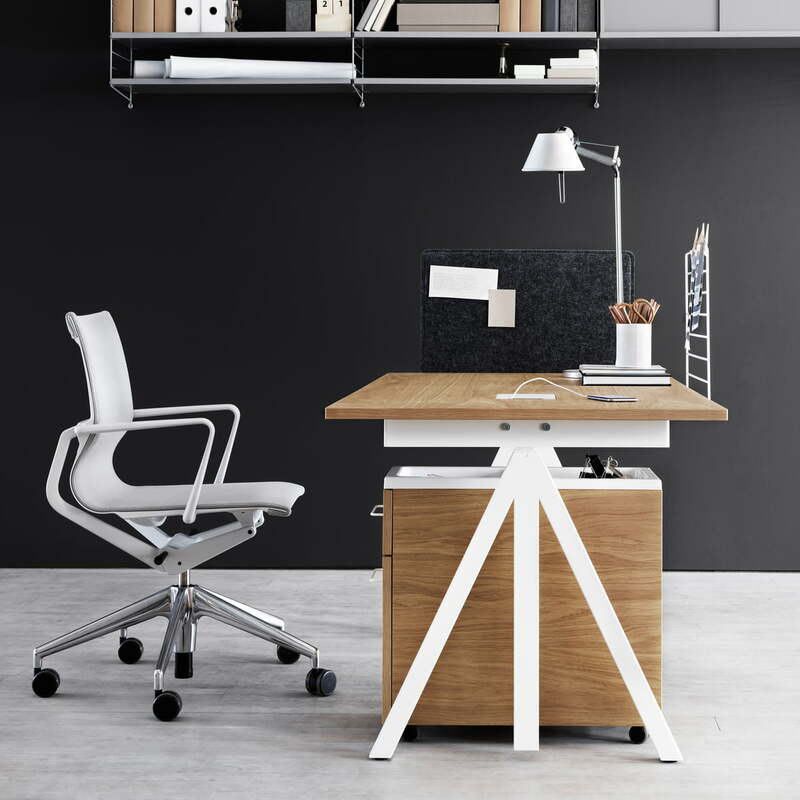 If we are able to alternate between sitting and standing, we are able to concentrate more and feel better. 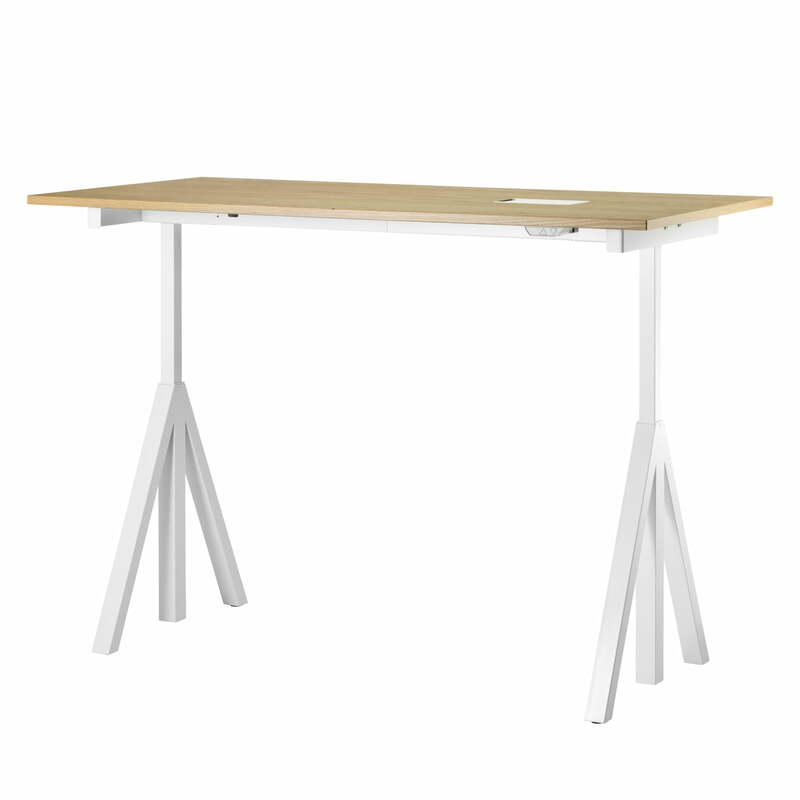 The height-adjustable desk from the Works Collection by String is a classic office desk, but without the heavy impression of one. The wide adjustment range between 715 and 1185mm makes it suitable for all kinds of people from all kinds of professions. One small but useful detail adds to the usefulness of the String Desk: There is a small compartment in the table top, which is ideal for passing cables for lamps or laptops through or for charging smartphones. 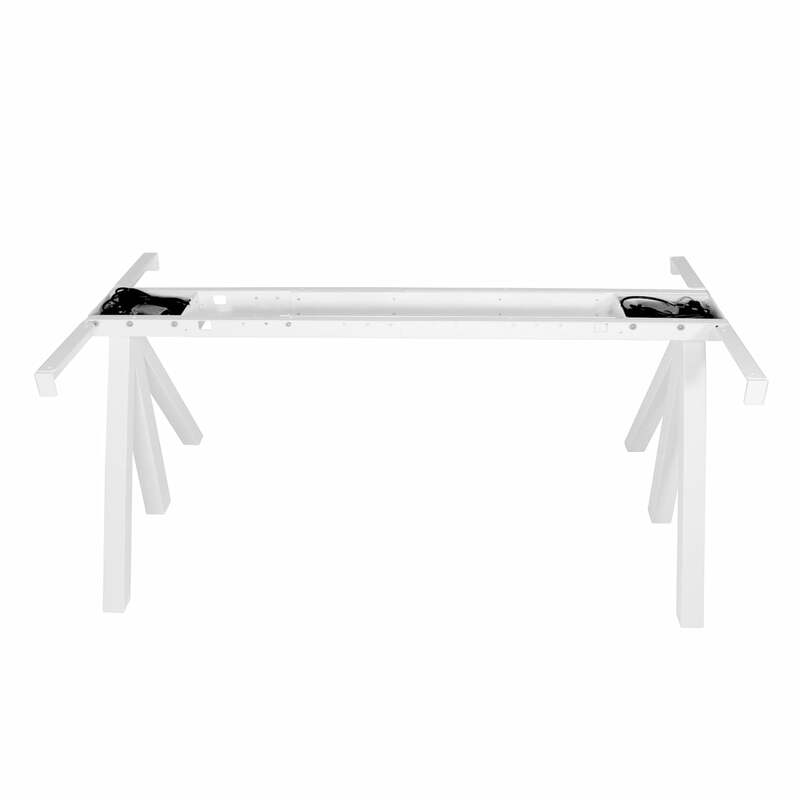 The frame of the Works Desk consists of thin metal tubes - a factor which gives it a visual lightness. 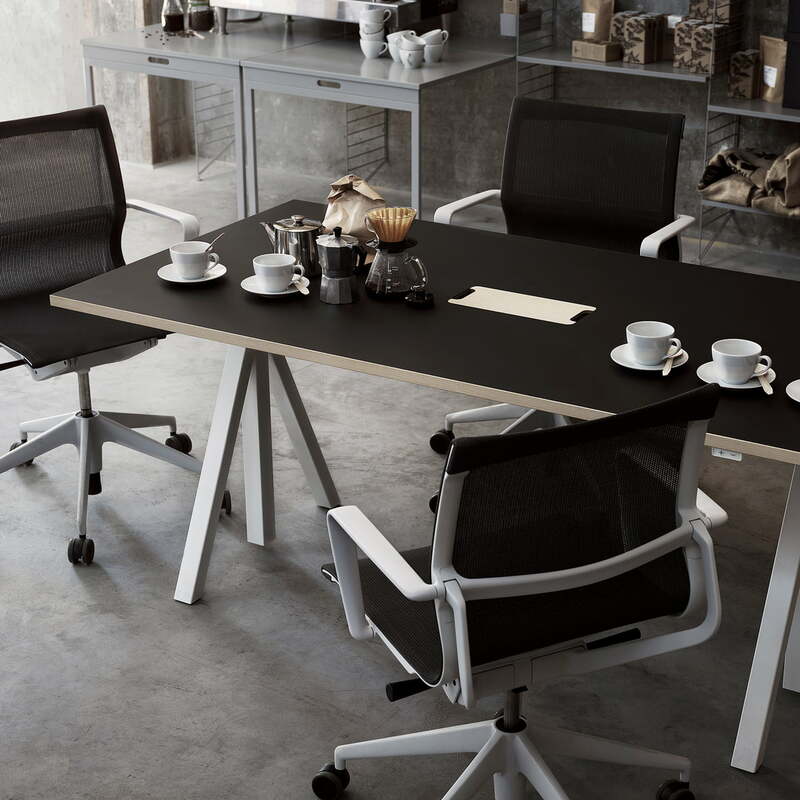 The table was designed for all kinds of working environments, but is also suitable for use at home with its elegant design. 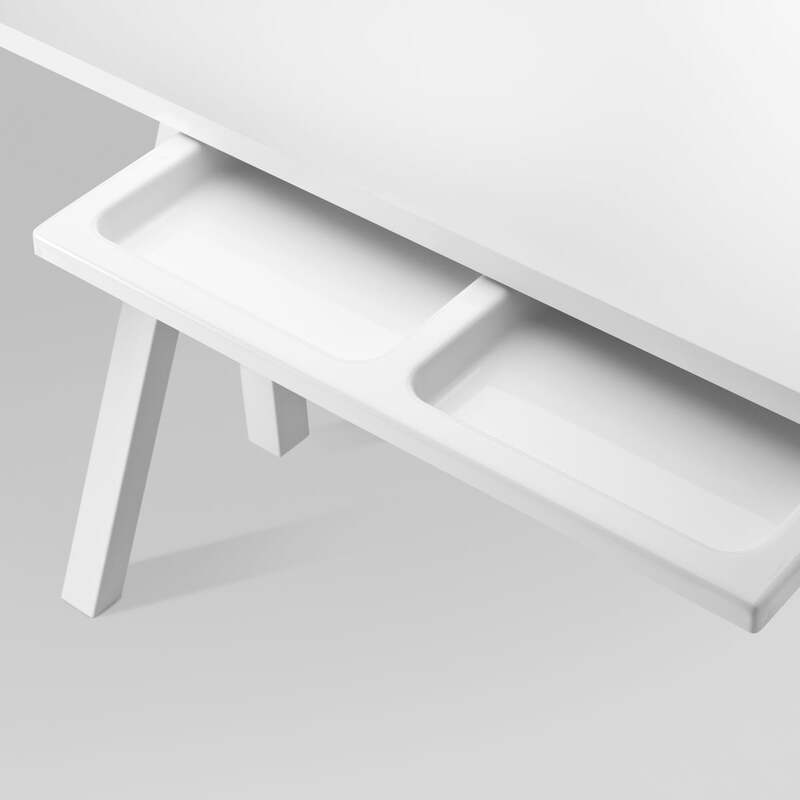 The table, which was designed by Björn Dahlström and Anna von Schewen, can also be used as a small conference table, as it provides an option of cable routing and has ample space underneath. 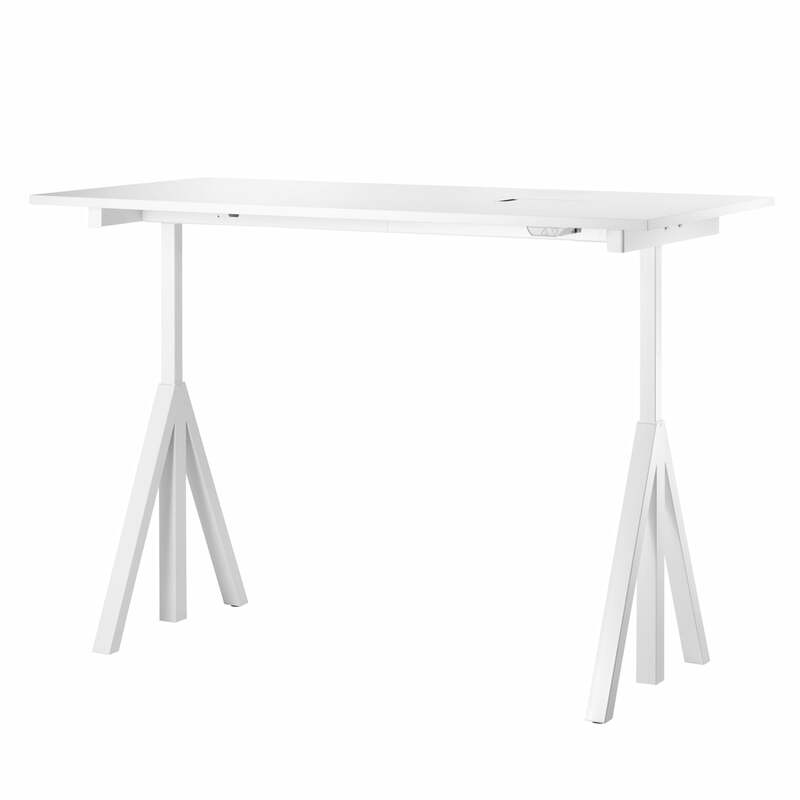 The height adjustment means that the String Works Desk is also ideal for spontaneous meetings, where standing at the table is appropriate. 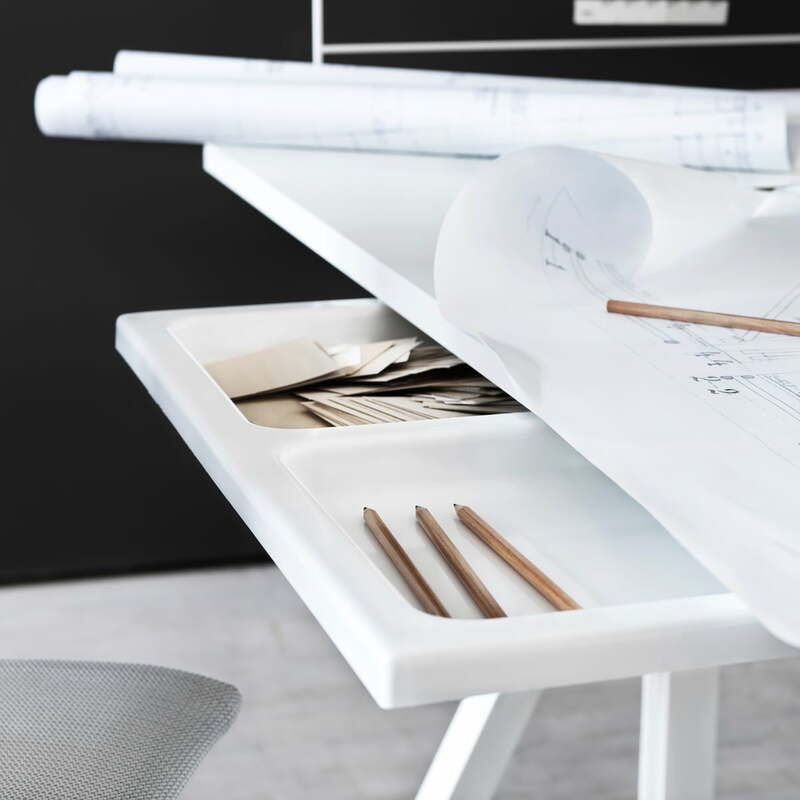 Just as with the original String shelf system, the adaptable desk can be used very flexibly - and can be done so again and again. 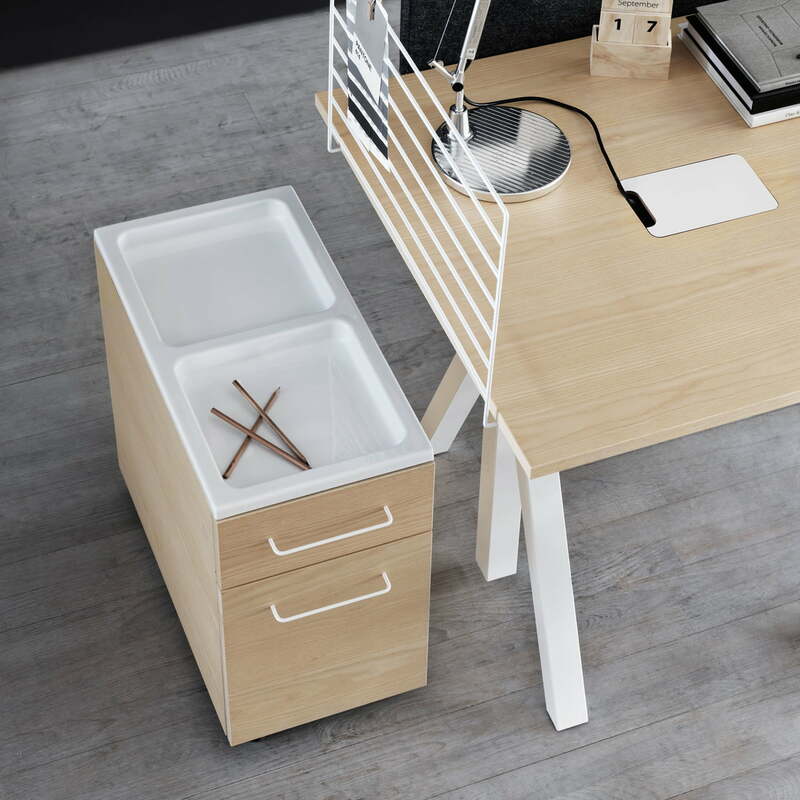 Although it can be combined excellently with other products from the Swedish manufacturer, it is just as suitable as a single piece. 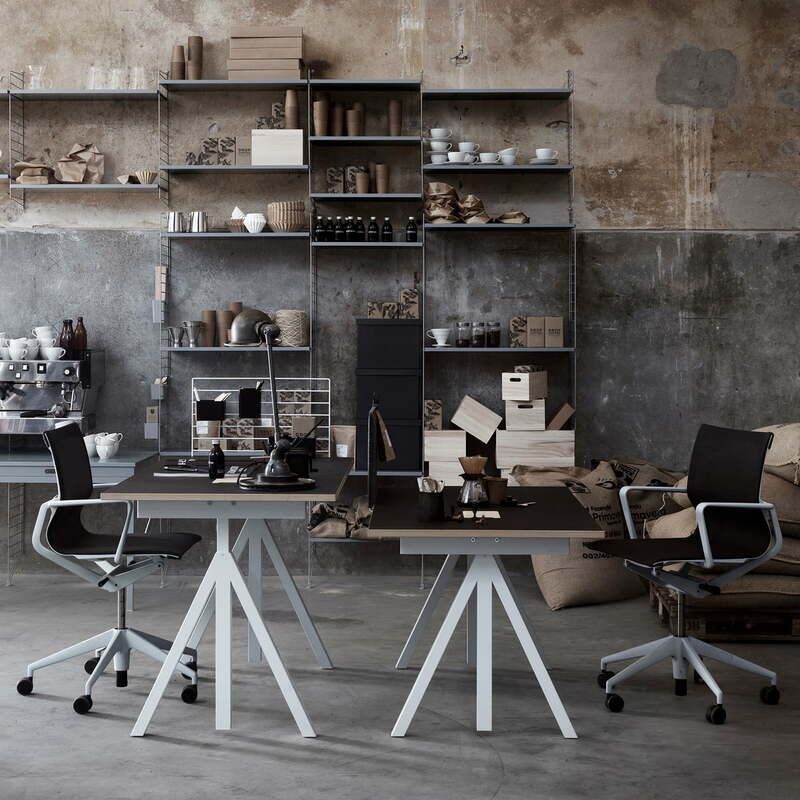 A further advantage of the table is that many accessories are available from the String Works collection. 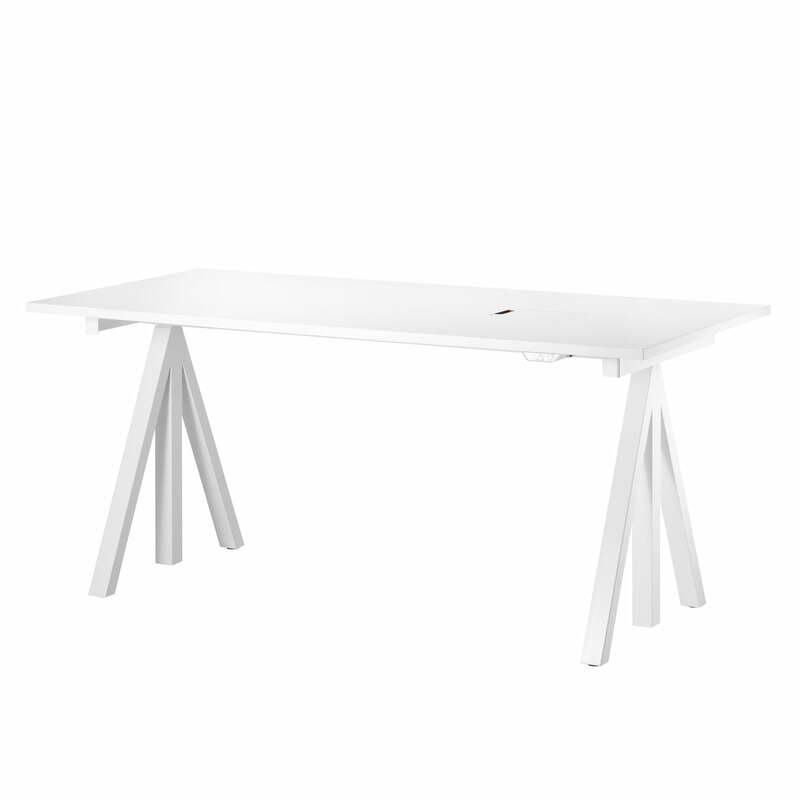 The desk is available in all colours and sizes offered by String. 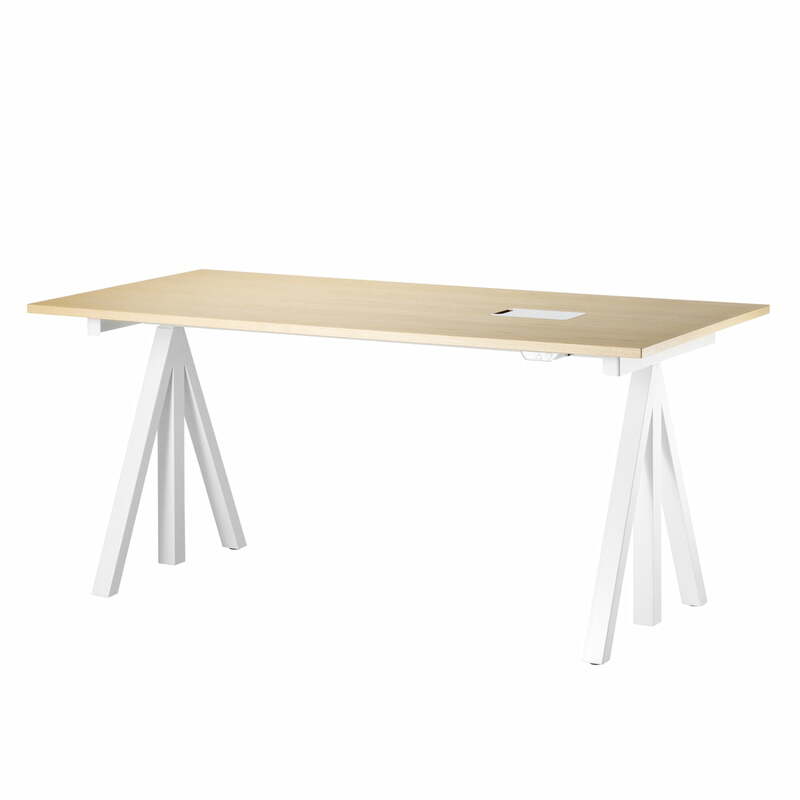 Lifestyle product image of the Works desk by String: Designed to work in any environment, the Works desk from String is an elegant design for the office or home. 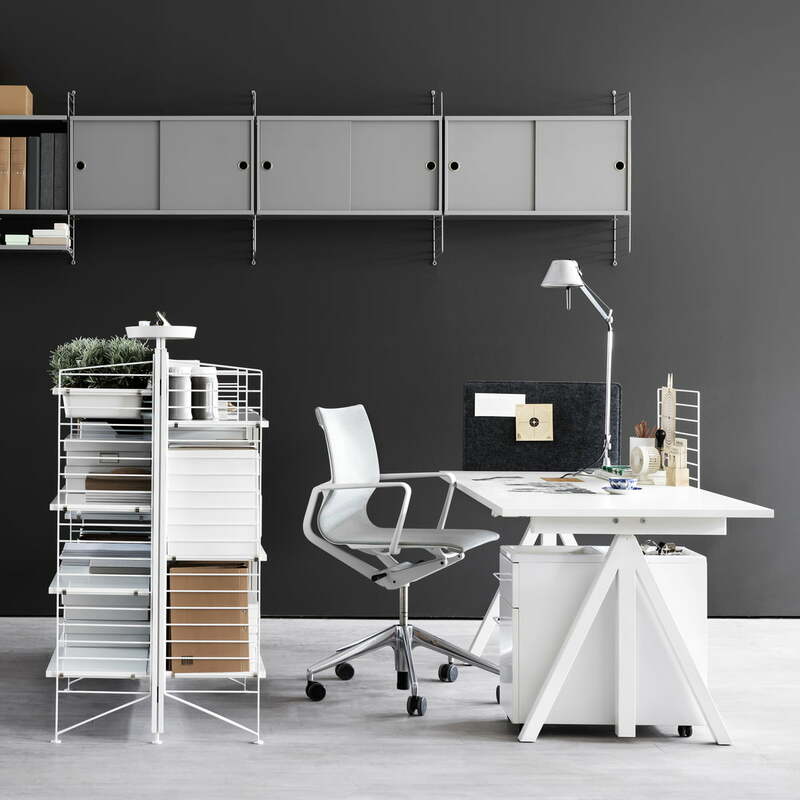 Lifestyle product image of the Works Desk by String: The frame of the Works desk is made of thin tubular metal - a characteristic that gives it its visual lightness.